*Please note: The Sunlight K3 is no longer in production and is out of support. This printer’s drivers and firmware are no longer kept current. Links in this post point to Sunlight K3 printer drivers and firmware as well as those for newer CIM printers. * If you have a Sunlight K3 printer, you should periodically check to ensure you have the latest hardware drivers and device firmware. These downloads are available directly from the Technical Support section of the CIM-USA website, here. Note that 32-bit drivers are available for Windows XP & Vista, while there is also a 64-bit driver that will support Windows XP, Vista & Windows 7. Windows 7 is the latest available operating system compatible with the drivers and firmware for the Sunlight K3. This page also has a PDF of the device user-manual. This manual contains useful information on the operation and regular maintenance of your K3 printer. Regular maintenance includes updating drivers and firmware and regular printer cleanings, which are also crucial to smooth operation. Call our experts at +1 888.485.4696 for additional information about the CIM Sunlight K3 printers. Visit our website or call for more information about newer model CIM printer. We would be happy to provide additional information. This entry was posted in CIM Printer and tagged CIM Printer, firmware, Printer Driver, Sunlight K3 on August 8, 2008 by SafeCard ID Team. Unfortunately, the Sunlight K3 is out of support and no new drivers will be released for that printer. The most recent driver includes Windows 7, but we do not expect to see further updates for that printer. 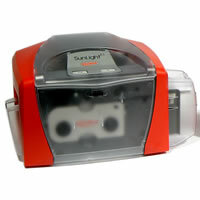 There are newer drivers for both of CIM’s newer printer models: Sunlight LUX (which is also out of production) and the Sunlight STAR (CIM’s newest printer which was recently released). If you have any further questions, please feel free to return here or to contact one of our experts at +1 888.485.4696. Some one find a solution for CIM K3 card printer drivers for windows 8.1?? Thanks for your note. Unfortunately the manufacturer does not offer a Windows 8.0 or 8.1 driver for that model. Also, that model has been discontinued (replaced by newer models), so it is very unlikely that they will offer one in the future. There is a Windows feature that allows for having device drivers operate in “compatibility mode” with earlier versions of Windows, but that method is not supported by CIM/Sunlight either. You can certainly experiment with that as an option, but no guarantees! Good luck, and let us know if you have any other inquiries. My Brother has the sunlight K3 printer was running great on windows 7 had to update computer it has win 8 \ 64 bit . but printer wont work i checked site for driver nothing available for windows 8 can you help please. For specific assistance with the rainbow light software, you can contact the manufacturer, CIM, at 305-639-3040. They can provide you with the latest help with Windows 7 and the software. I downloaded the recent drivers for my single-sided sunlight K3 that enables me to operate the printer in Windows 7. However, my rainbow light software has a configuration error popup and won’t start. I used Windows 7 Professional 32bit. Hi Wendel. Is your printer Ethernet enabled? If not, there is not an IP address for your printer. If it is enabled, you can go to the properties of the printer through your web browser to locate it. i was about to install printer driver. where can i find ip adress of the printer. my printer dual sided sunlight k3. Thanks for your comment Evgeniy. The post has been updated with current drivers available from CIM. Can you send me link to last printer firmware and drivers? Link to drivers at this page doesn’t work. We recommend that you go to the print drivers and right click on the CIM printer listing. Go to printing preferences and select the card tab. At the bottom of the card tab, do a printer self test and see if the card prints. Make sure that you have a YMCKO color ribbon installed. Also make sure that the YMCKO ribbon is selected in the device options tab. If the test card prints fine, the problem is probably a software/computer issue and not a printer issue. If the test card does not print well, you will need to contact CIM USA technical support for assistance. I’m using a Sunlight K3 printer and recently it started playing up when printing in colour. It can print using a black ribbon but whenever I try to print using a colour ribbon it seems to get “stuck” in the printing process and unable to continue. I have to eject the card which often comes out with just the yellow colour having been applied. I’ve cleaned and calibrated it many times but this issue of not being able to print in colour is frustrating when it used to work fine a few weeks ago. We would need to know what the thickness is of the PVC cards that you are using. If you are using 30 ml cards, there is a chance that the printer card sensor is not working. The printer needs to be sent in for repair if this is the case. It could be a simple problem. Maybe the rollers in the printer are dirty and need to be cleaned. Check your rollers first and clean the printer with an approved cleaning kit prior to securing repair work. Also, I have done many times sensor calibration in the printer driver but didn’t help? I have K3 Sunlight it’s working fine but suddenly it’s often broken the ribbon a lot. If it doesn’t do that then the printed card come out with a yellow portion. Sometimes that yellow portion is 3/4 or 1/2 or 1/4 of the printed card, it’s varied all the time. Can you help? Many thanks. The first step we would suggest would be to calibrate the ribbon sensor. This is done in the print driver for this printer. Go to your printer and faxes folder. Right click on your CIM printer. Chose printing preferences. On the far right, look for a tab labeled calibrate. Halfway down the page is a button that says sensors. Click that button and follow the instructions on the screen. If this does not solve your problem, make sure that the ribbon setting in the print driver is the same setting as the ribbon installed in the printer. This can be checked under the device options tab. If this fails, your printer probably has a bad ribbon sensor. A repair may be needed. I’ve just installed a new ribbon, and it’s still saying that the ribbon is empty. If you haven’t updated the firmware and print drivers to the latest version from the blog post, please do that. Many times that will solve the issue. If that update does not help, you may need specific technical help. Please email or call safecard for a technical representative to assist you with your specific printer. i am having problem with my k3 sunlight dual printer. when i sent for printing, it will pick the card and wait for about 2-3 minutes before it will eject the card out. it will not print anything good rather it will print out missed colour background.